Synopsis : "Hundred"—that is the only weapon that can oppose the mysterious life form "Savage" from visiting the earth. "I wanted to see you, Hayato!!!" "H-How do you know my name?" Around the roommate, Emile Crossfode, who somehow knows him well (? ), Hayato gets an uneasy feeling. What's more, just after the entrance ceremony, he gets asked for a duel by the campus' strongest martial arts master "Queen" Claire Harvey...!? I liked the anime, would like to see what happens next. Ending has been announced. It'll be 16 volumes in total. If this is ending the I will give my up-vote now. @ironman628 I will vote for this one too. I was just going through my anime collection and came across this and was hoping that someone might have suggested that JNC license the light novel for this series. The anime was pretty decent but the light novel has so much more material and goes quite a ways past the anime. This is definitely one that I would love to see get an english translation. There was a manga for this one that started but abrubtly ended or at least that was all that I was able to find. 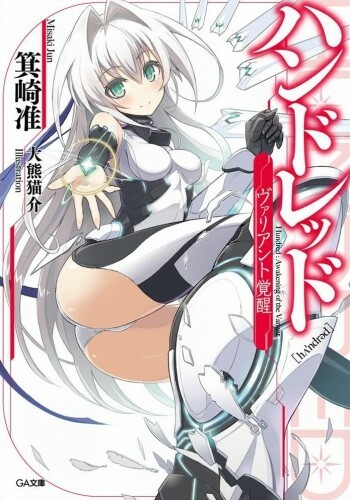 But from what I understand the light novels are pretty popular and being that this is a purely fantasy/sci-fi type story it would be a good change a pace from the whole isekai scene. I just hope that JNC will give this title some consideration.